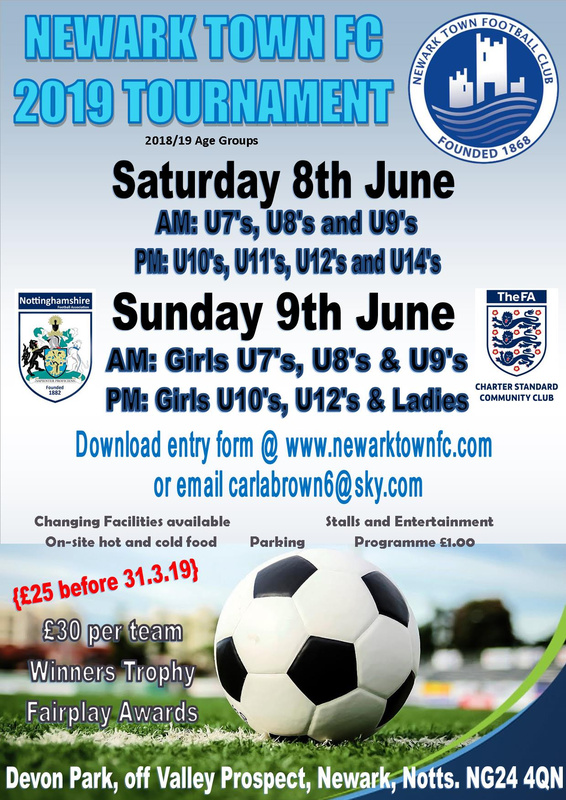 Newark Town FC is hosting a Summer Tournament on Saturday 8th June 2018 and Sunday 9th June 2019. Saturday afternoon there will be 7-a-side tournament for the Under 10s and Under 11s and a 8-a-side tournament on the 9v9 pitch for the Under 12s and Under 14s. Sunday morning the girls and ladies will take over with a 5-a-side tournament for Under 7s and Under 8s and a 7-a-side for the under 9s. Sunday afternoon will be a 7-a-side for the under 10s and an 8-a-side tournament on the 9v9 pitch for the Under 12s. The tournament has been sanctioned by the Notts FA and will be competitive at all age groups.